0,3 % of the territory. 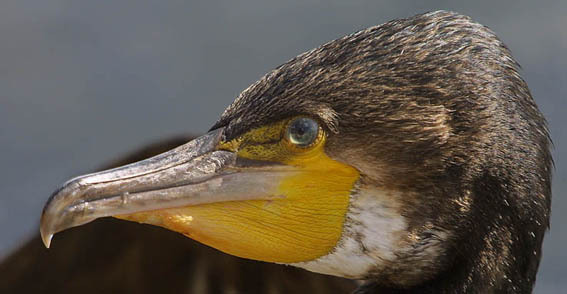 528 islands, Denmark has proven to be the near ideal breeding grounds for Phalacrocorax carbo. 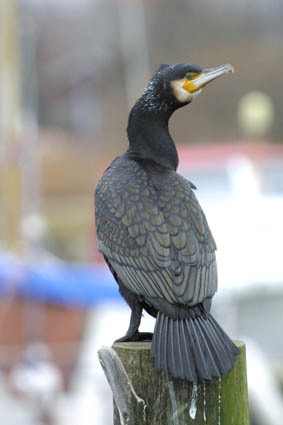 And for your information the Danish name for Cormorant (Ålekrage) is as old as the language itself. 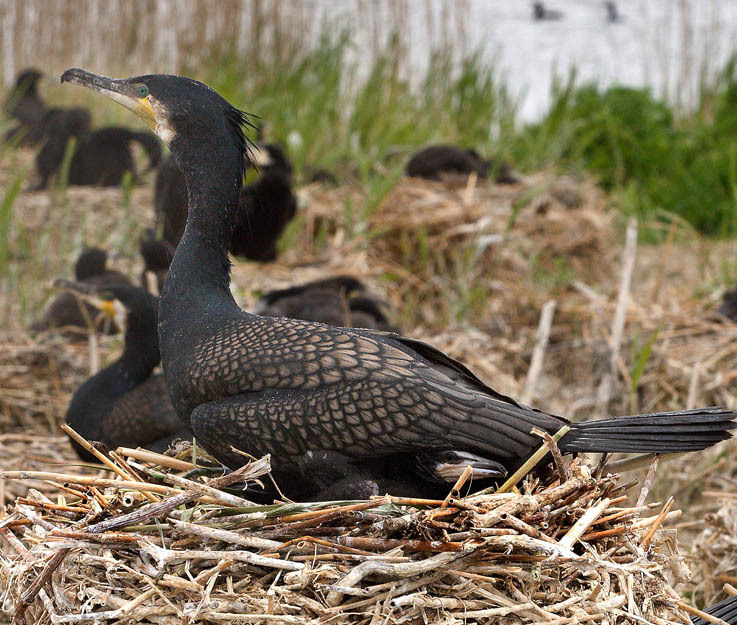 A breeding bird protects its youngster in a colony on the island of Vinterleje Pold in Ringkøbing Fjord, western Jutland. 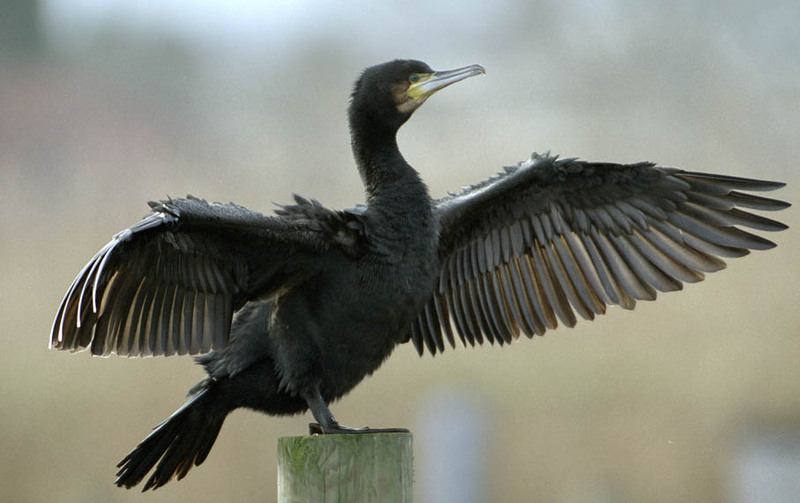 The Story of the Cormorants is the story of a creature that actually survived the Danish welfare society. 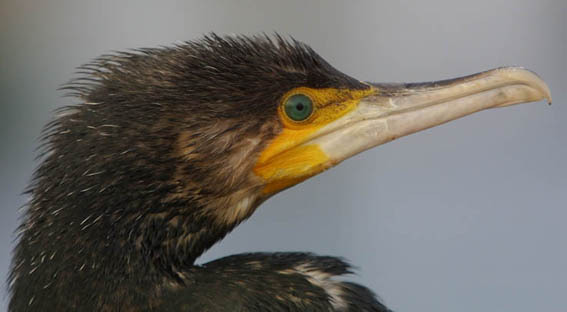 Spectacular indeed, and not only survived, but also outgrowing it, a booming success, growing from total extinction in 1930ties to these days 39.720 couples. And this is not just another funny way to put it. It’s an actual fact. 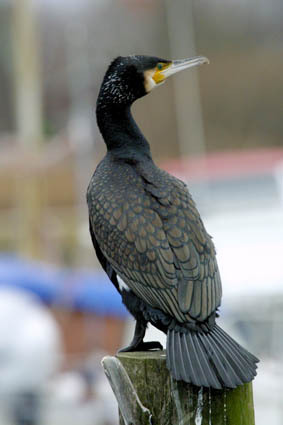 The fact is, that Cormorants seams to adjust amazingly well to civilization and it’s industrialized country side, adjust to it, a lot better anyway, than so many other species. Here’s no mentioning of lack of natural food. No worrying of emissions of ammonia, nitrate or methane. 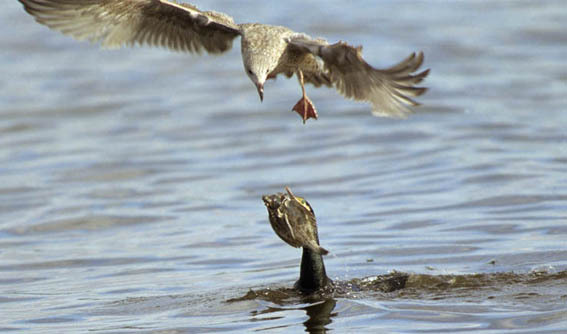 Nothing like the so often heard depressing news of draw backs, every year bringing a new story of a bird-species’ fatal decreasing population. 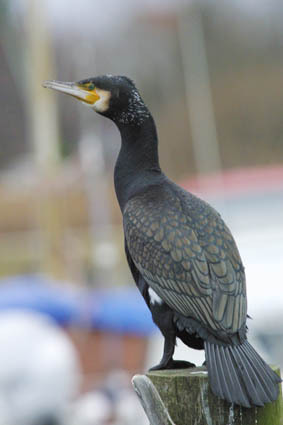 No, the story of the developing Cormorant population is different. In fact everybody’s minds seams to be focused on when the growing will stop.. When will it end. 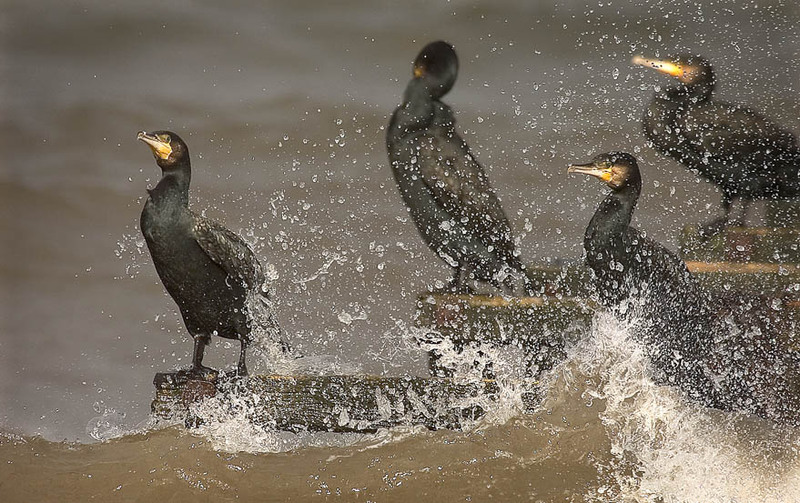 Which is the same as, what level of population fits the availability of food and breeding sites. And it seams to level out on these aproc. 40.000 pairs. Having stayed so now for half a decade or so. But that is not the full story. 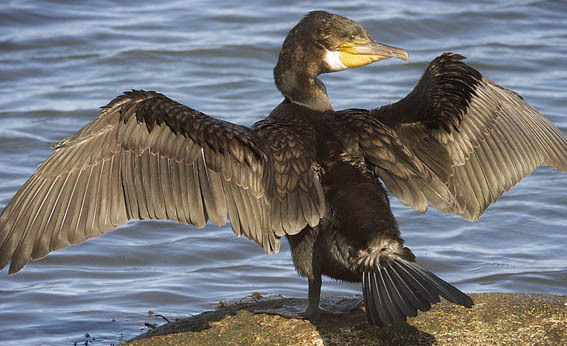 Society has found it’s ways to fight back this pre historical monsterbird. 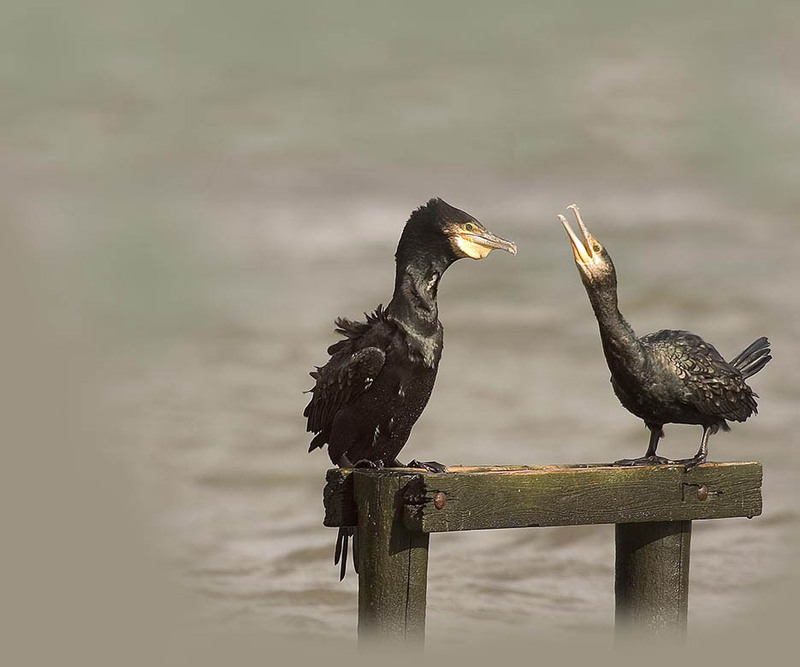 These pictures show Cormorants in Denmark in various places, from Gedser in the south to Skagen on the northern top of peninsula Jutland.